‘In 15 years of the FA’s men’s senior player of the year award, only one black footballer has ever won it,’ begins Neil Ashton’s column for The Sun, as Mediawatch promptly straps itself in. This is quite the serious subject for an international break Friday. ‘It was Ashley Cole in 2010 – the only BAME footballer to be named the best England player. ‘It is a remarkable statistic, given the diverse make-up of the England team down the years. It does seem odd, until you consider that those other 14 awards – no vote was held in 2013 – have been given to David Beckham (2003), Frank Lampard (2004 and 2005), Owen Hargreaves (2006), Steven Gerrard (2007 and 2012), Wayne Rooney (2008, 2009, 2014 and 2015), Scott Parker (2011, when he was also named FWA Footballer of the Year by journalists), Adam Lallana (2016) and Harry Kane (2017 and 2018), all of whom were actually quite good themselves. Does Ashton actually pick a year when Cole, Campbell, King, Ferdinand, Alli, Sterling or any other black player clearly deserved to win the award instead of any of the above? Does he heck. And those aforementioned black players ‘have never come close to being honoured’? Micah Richards came 2nd in 2007, Theo Walcott came 3rd in 2008, Ashley Young came 3rd in 2011, Danny Welbeck and Ashley Cole came 2nd and 3rd in 2012 and Welbeck and Sterling came 2nd and 3rd in 2014. Considering complete top threes were not named for six of those awards, that does not seem particularly bad going. But you would be forgiven for the confusion at Ashton questioning why black footballers have seemingly not been recognised in terms of individual awards in recent years. 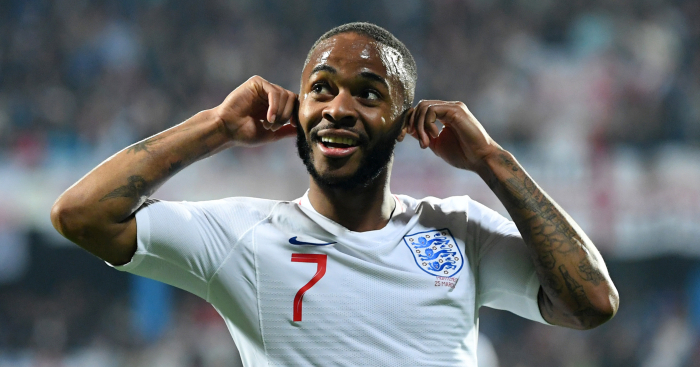 After all, he raged against the idea that the media machine was holding Sterling in particular back due to the colour of his skin. Has Ashton changed his mind in a rare show of public introspection? Or is he simply shifting the blame elsewhere? The ‘which is voted for by England fans’ is an absolutely sensational aside, blaming supporters for subconscious racism instead of the poor, persecuted media. To the fella in the back pointing out that many of those ‘England fans’ are influenced by what they read in newspapers – such as the nation’s best-selling Sun, for example – that’s beside the point and completely unimportant. Please do hush. ‘The 2017 and 2018 award was won by Harry Kane, and few would argue after he captained his country to a World Cup semi-final. And we would. So for you to not only ignore but twist a salient argument because it painted the media in a negative light is pathetic. And to respond to criticism by shunning self-analysis and instead indirectly accusing others of being in the wrong is so predictably childish, particularly for a man ‘with the inside track on football’s big stories’. 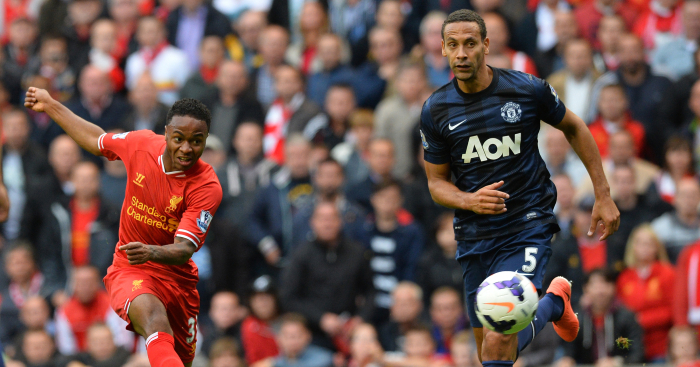 ‘Raheem Sterling could land the player of the year awards, according to Gareth Southgate. No he f***ing didn’t. But at least you have confirmed that Sterling and Ferdinand bravely speaking out has made not a jot of difference. If anything, you’ve just doubled down. Andy Dunn of the Daily Mirror is here to piss on some chips and give Manchester United fans some food for thought about Paul Pogba and Ole Gunnar Solskjaer. 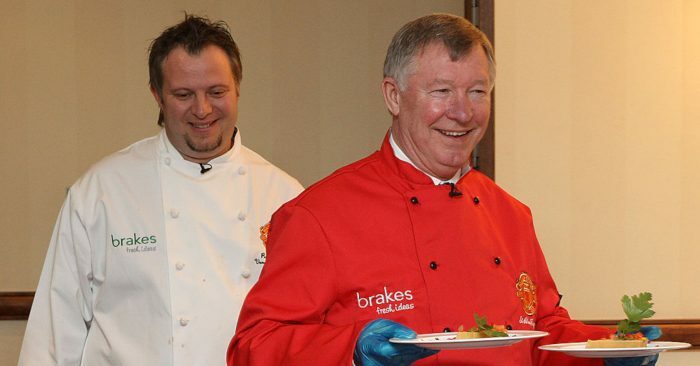 ‘On the face of it, his enthusiastic championing of Ole Gunnar Solskjaer can only be seen as a positive,’ he writes of Pogba’s recent public backing for the Norwegian to get the permanent United job. 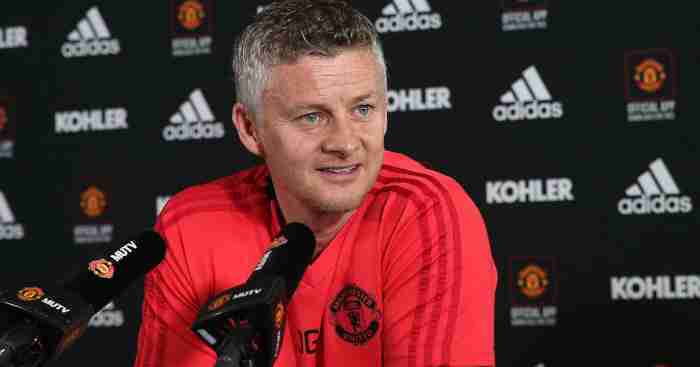 ‘The results, barring the past couple, speak for themselves and, to my mind, Solskjaer should be a shoo-in for the permanent gig. ‘But you could understand if United supremo Woodward is not completely convinced. That must be it. 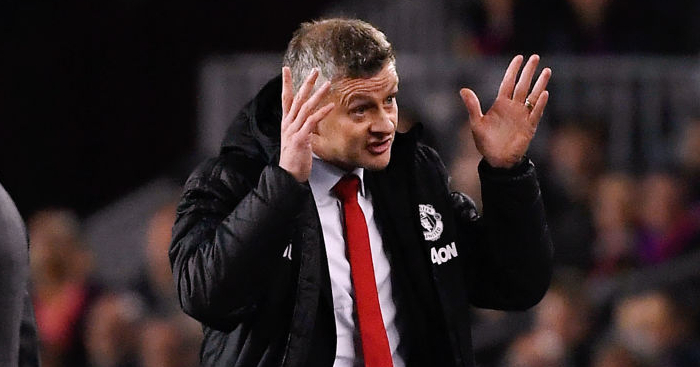 Which means your newspaper’s website was chatting b*ll*cks when it said Solskjaer ‘laid into’ a squad that ‘felt the full force of his wrath’ after the FA Cup defeat to Wolves. Can you be both ‘furious’ and a ‘soft touch’? Or they are just happier being managed and coached by someone who understands them a little bit better than the last fella? Nope, can’t be that. 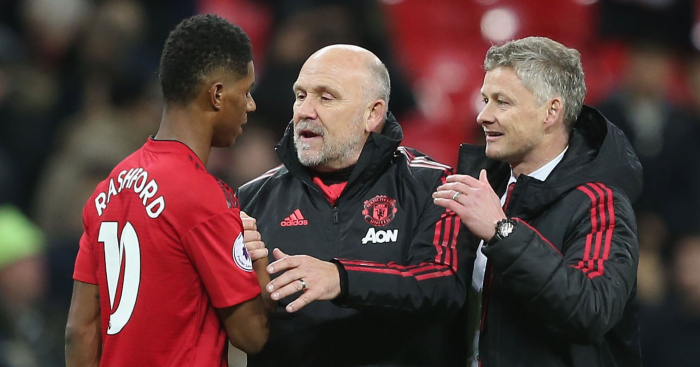 Solskjaer is just ‘not the certainty most of us think he should be’, and Woodward ‘might be looking beyond the recent triumph in Paris and the 32 points from a possible 39’ because the players like him he is ‘soft’. ‘If the stick is affecting Jordan Pickford he is not showing it’ – first paragraph of Darren Lewis’ Daily Mirror article. ‘A boyhood Sunderland fan, Pickford also endured a nightmare at Newcastle this month with an error-strewn display during which he appeared distracted by the taunts from the home crowd’ – fourth paragraph of Darren Lewis’ Daily Mirror article. 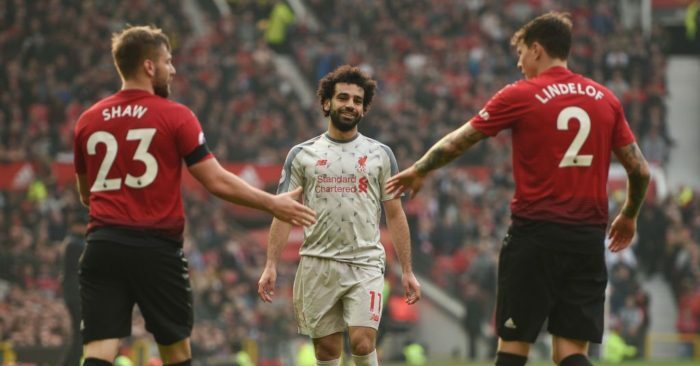 Just how did they get this Evertonian former Manchester United player to ‘admit’ to not wanting Liverpool to win the league? Czech Wags include Miss Earth, an English rose, supermum & French Bulldog lover’ – Sun Online. ‘MARTIN SAMUEL: Rice’s ‘Up the RA’ comment on social media was the folly of youth… not a political treatise’ – MailOnline. Pete Jenson on Vinicius Junior. Gabrielle Marcotti on Cristiano Ronaldo and Lionel Messi.